* Bus and Taxi ports/stops along the banks of the river nile to transport people. 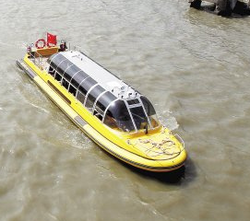 the bus and taxi stops can be every 5 miles and parallel on both sides of the river. * River ports to transport cargo. transferring cargo from extreme south to north coast and along the way up and down the river to service the provinces.